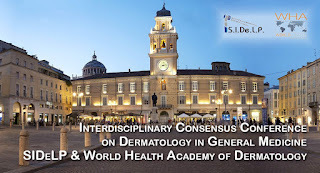 As Chairmen of the “G18 ADI-ADMG Dermatology International Congress” and on behalf of the ADI (Ionic Dermatological Association) and of the ADMG (Association of Dermatologists of Magna Greece), we are very pleased to invite you to the city of Taormina, Italy, the city that will host this meeting from 15 to 17 november, 2018. Housed in a state-of-the-art structure, the Diodoro Conference Center is in the heart of the city, near the Ancient Theatre, and offers panoramic views of the surrounding area. It is a spacious, elegant, technological, comfortable conference center that will provide an unforgettable experience for everyone. Taormina is a small town on the east coast of Sicily known for its beaches and also known to be a place of cultural richness. There are only 11,000 people living in Taormina, but that does not stop it from being a cultural center and home to interesting events. With its mild climate, there are performances almost year round, with opera, pop and classical concerts by some of the best Italian and foreign artists. There is also the Taormina Film Fest, a very popular and reputed festival, celebrating Italy’s finest actors and actresses. 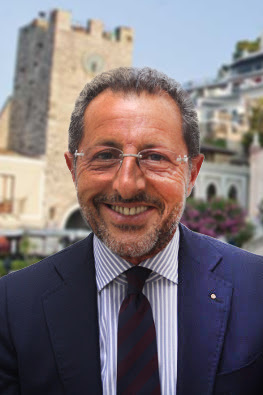 Latterly, on 26 and 27 May 2017, Taormina hosted the G7 and the big-ones on the world. Taormina is a shocking beauty. Within the city, modernity and ancient ruins are mixed together. If you have never seen it, do not miss this opportunity. If you know it, you'll be happy to return. You will also be rewarded with excellent cuisine. We look forward to seeing in Taormina.